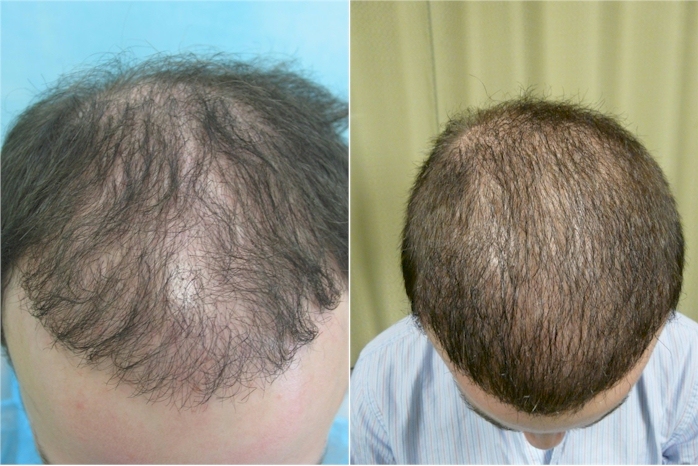 The patient had undergone Strip surgery (1800 grafts) at another clinic. 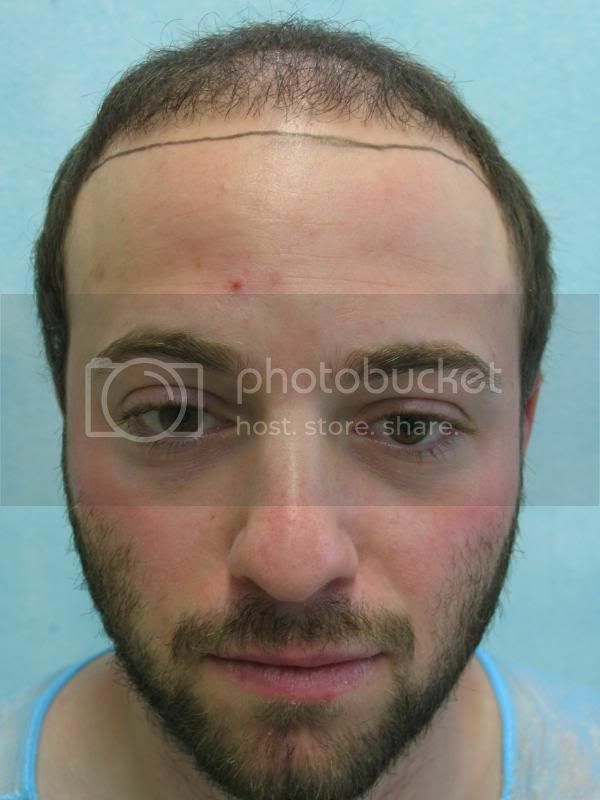 However he was not happy with his hairline, the coverage and his strip scar. 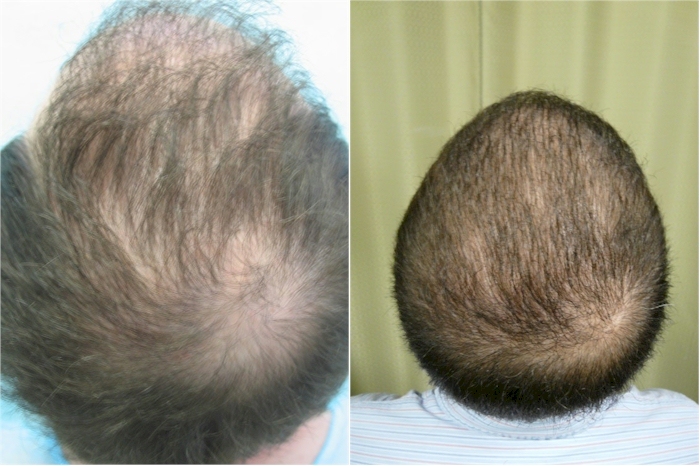 Whatsmore, he realized that he is head donor depleted from diffused thinning of the donor area. 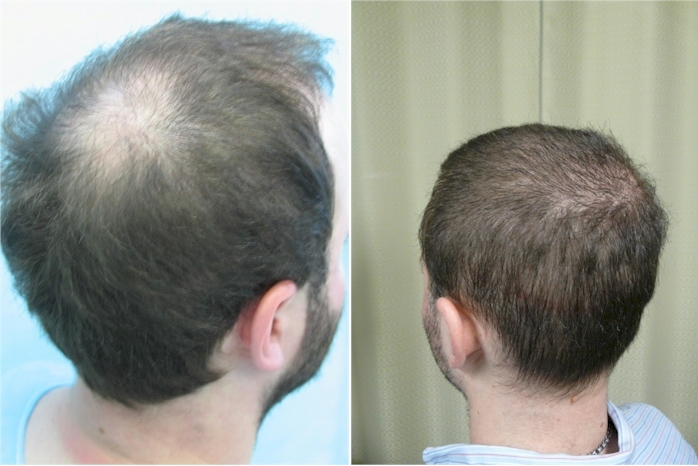 With advancing hairloss he pursued repair with BHT to avoid an odd look. 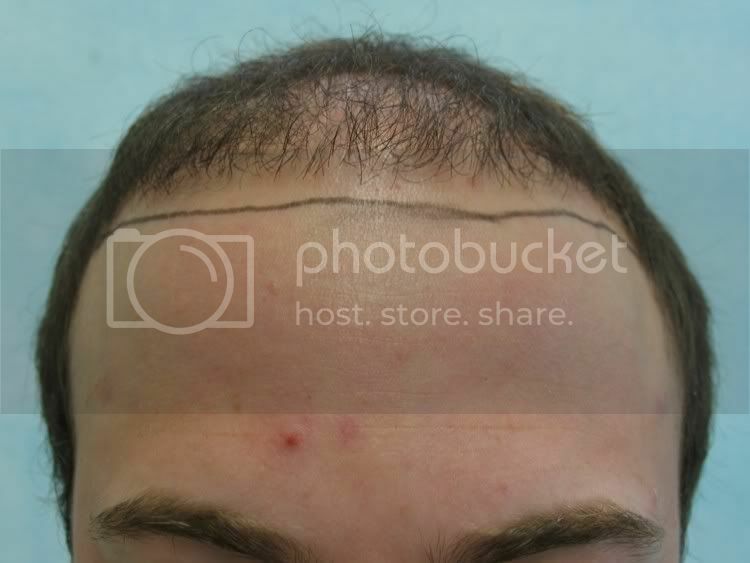 Temple points, Hairline, Frontal Scalp, Mid Scalp, and crown. The patient is happy and feeling liberated enough to carry a shorter haircut. 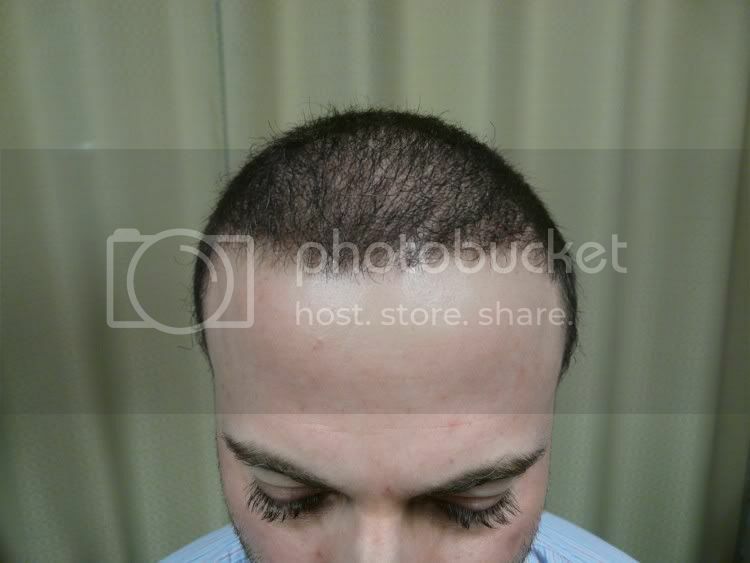 DR UMAR what do u mean diffused thinning donor area? what is it how it can happen and how can u know if its going to happen? 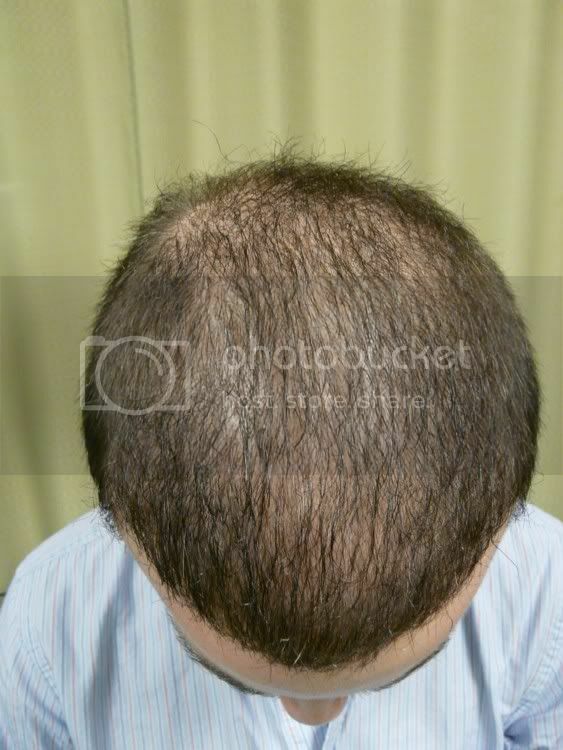 » DR UMAR what do u mean diffused thinning donor area? » what is it how it can happen and how can u know if its going to happen? 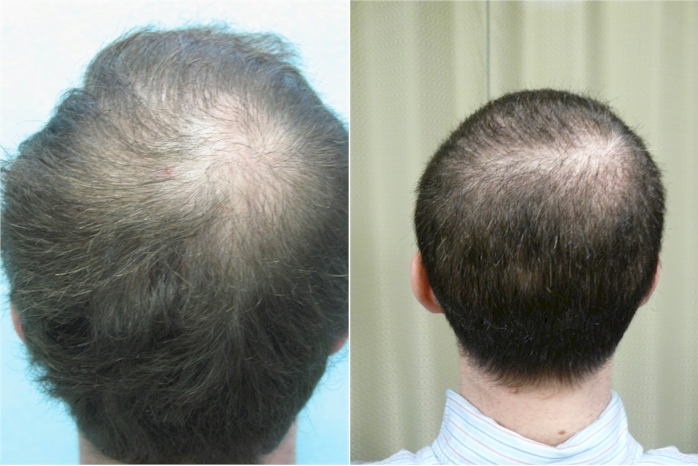 It means there is loss of volume due to diffuse miniaturization in the back and sides of the head as well. It is also likely to be a ressult of DHT sensitivity. MPB from DHT sensitivity is striking in the NW area because of the high concentration of DHT sensitive follicles that are lost en masse. 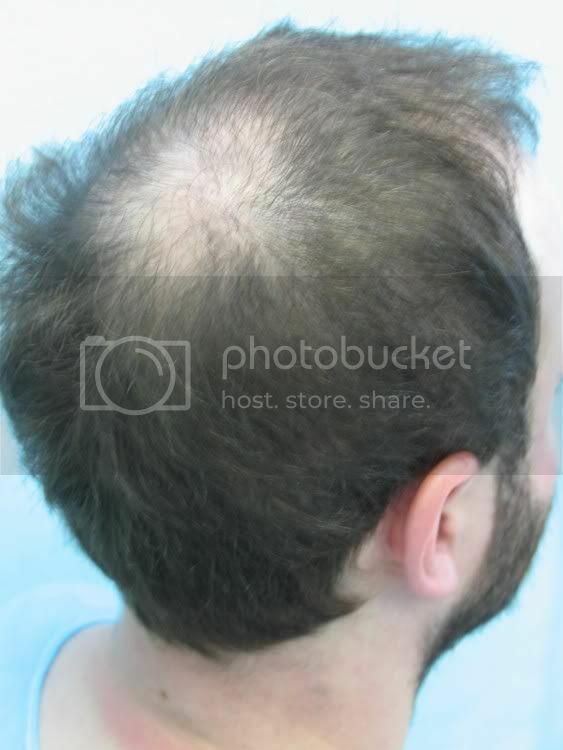 However, in most MPB sufferers there is a population of DHT sensitive hair in the back and sides of the head as well (Outside the NW areas). 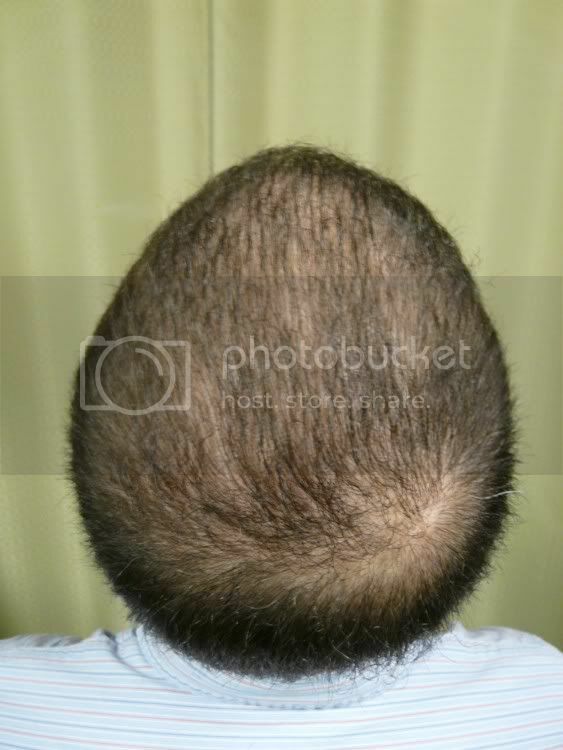 It is not as noticeable because the pattern is diffused and the area is covered by sufficient number of DHT resistant terminal hair. Also the MPB sufferer at this point is focused on the emptiness of the NW area. 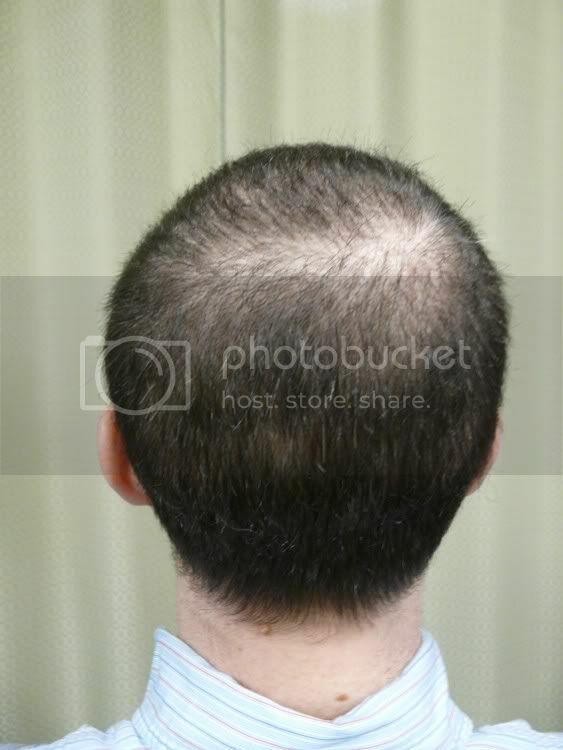 In severe cases however it would manifest as low density in the back and sides of the head. 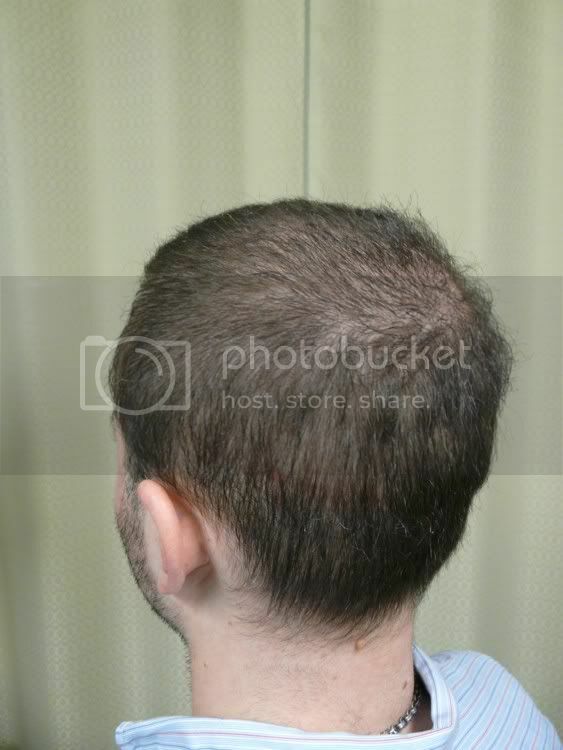 Only in severe cases of density loss on the back and sides would this be noticed as well. If you have MPB, chances are that this is happening to some extent in you. In the intance of the presented patient, it is severe enough to warrant attention. I have been an admirer of your work since i saw the results of Heliboy. Since then your results have amazed me and your clinic is definately on my shortlist for work. 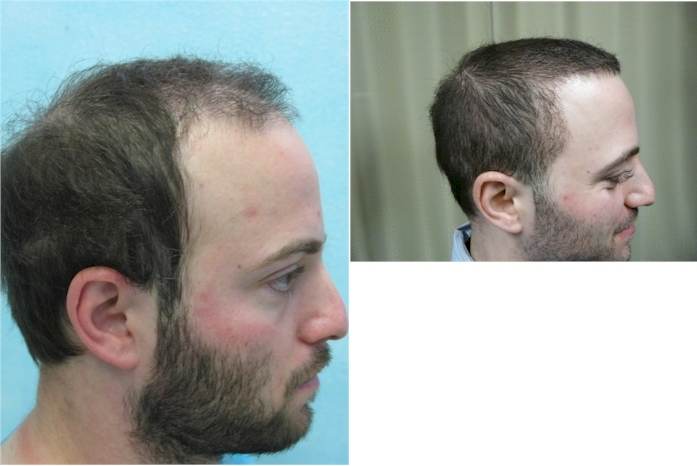 What impresses me most about this result is the 3800 grafts from the beard. 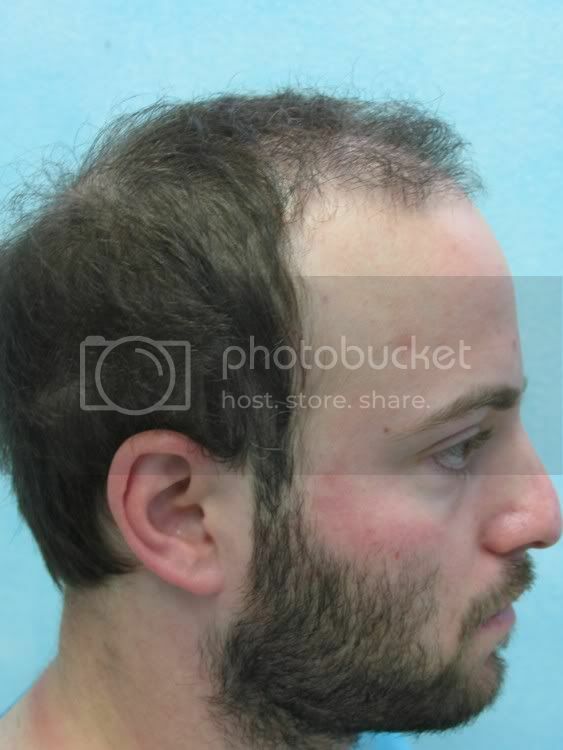 The guy still has decent beard coverage and at least from the pics no visible scarrring. Very similar to Heliboy - got a transplant in 2002 aged 25. 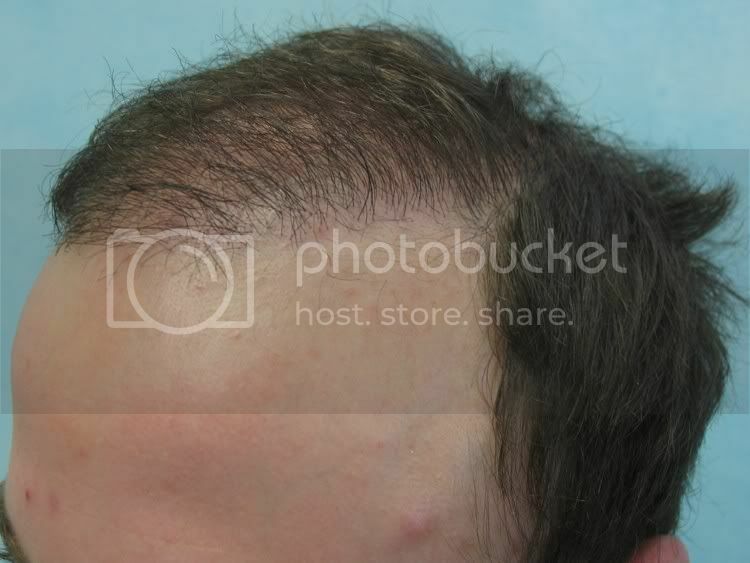 I have been wearing a piece behind the hairline to the crown. 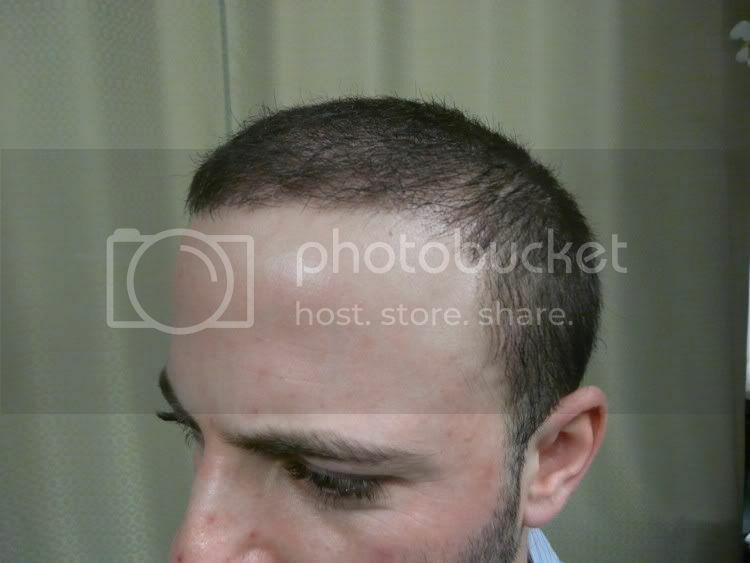 I want to ditch the piece although it looks very very real with a natural hairline. I have hair all over my head but is diffused, shaved down and covered by a piece. 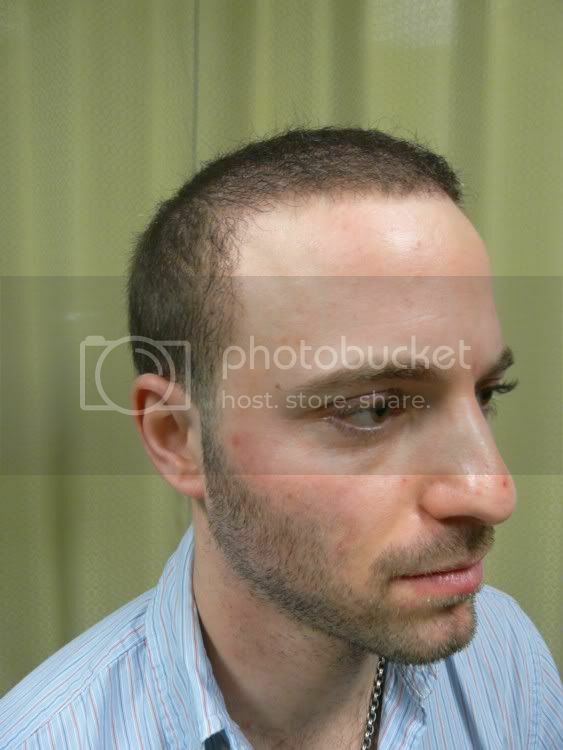 In beard transplants how visible are the scars, especially on asian skin? From what i’ve heard of FUE that you cannot buzz down to a zero. 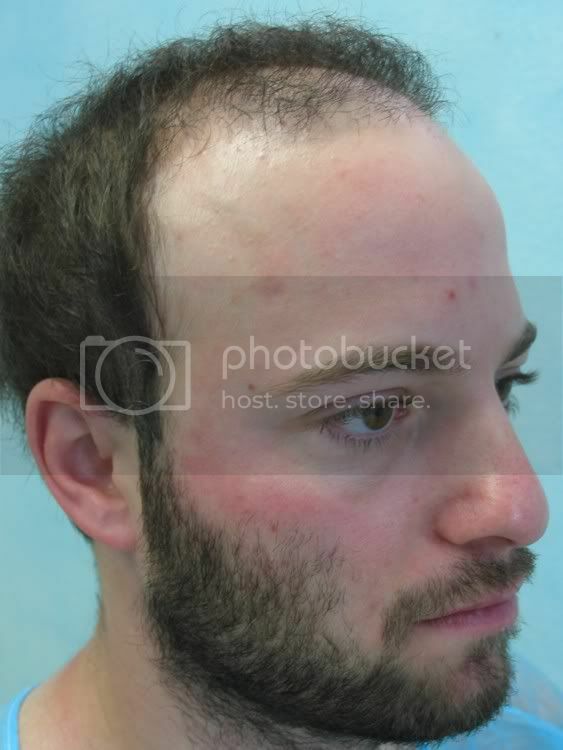 How is this covered in beard scarring when you shave completely all the time? 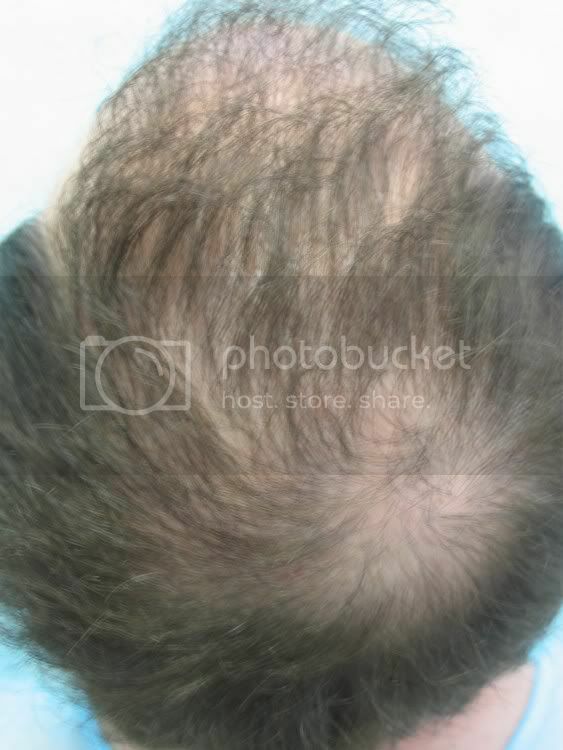 Pubic hair - sounds disgusting but have you ever used pubic hair on the head as a filler? If so, what are the results like. » I have been an admirer of your work since i saw the results of Heliboy. » wearing a piece behind the hairline to the crown. » is this covered in beard scarring when you shave completely all the time? » head as a filler? If so, what are the results like. I too am impressed that 3800 can be obtained from such a small area. 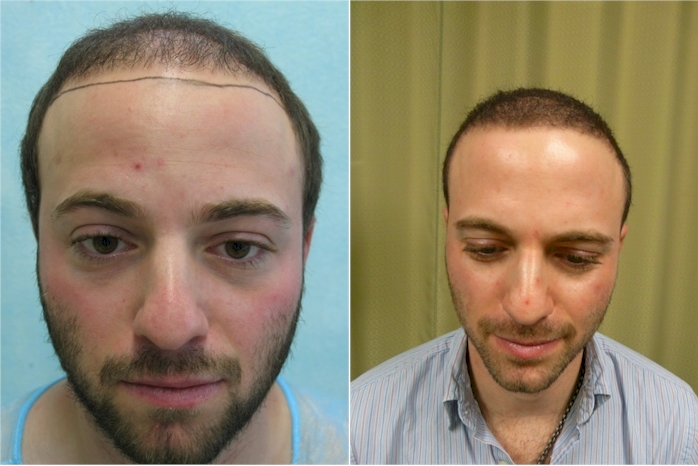 We have extracted over 5000 grafts in a single pass from patients and they have gone on to shave their beards confidently. 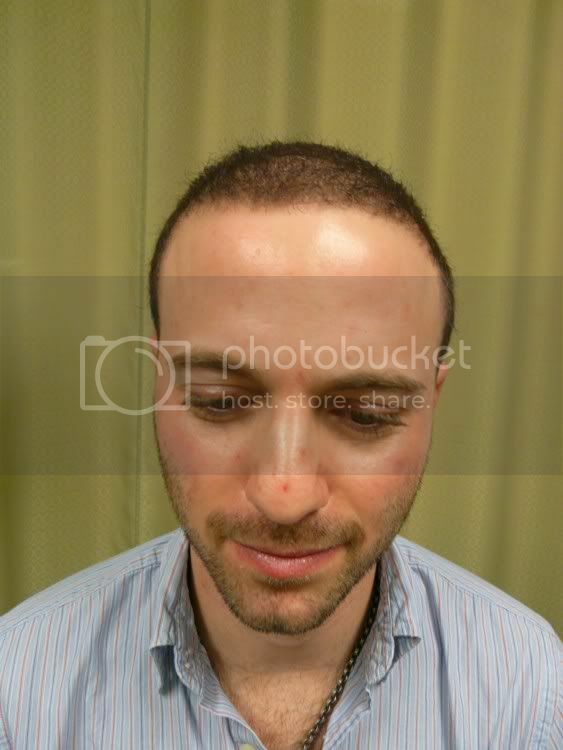 1) In beard transplants how visible are the scars, especially on asian skin? 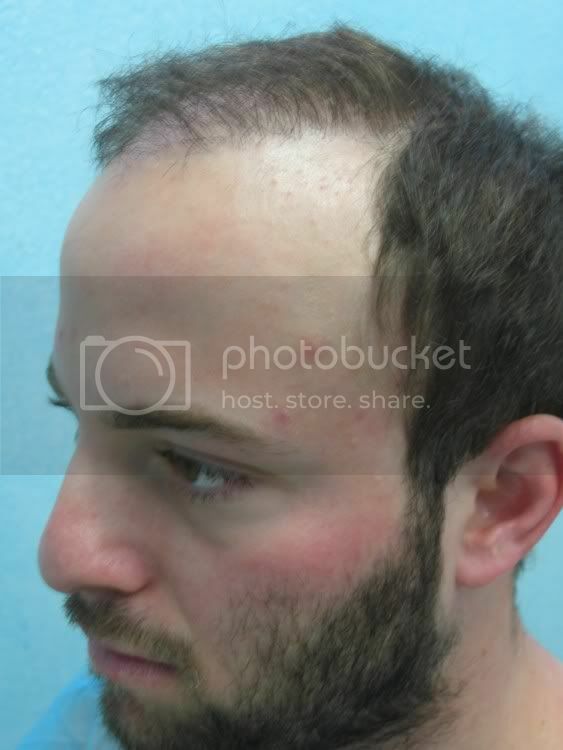 From what i’ve heard of FUE that you cannot buzz down to a zero. 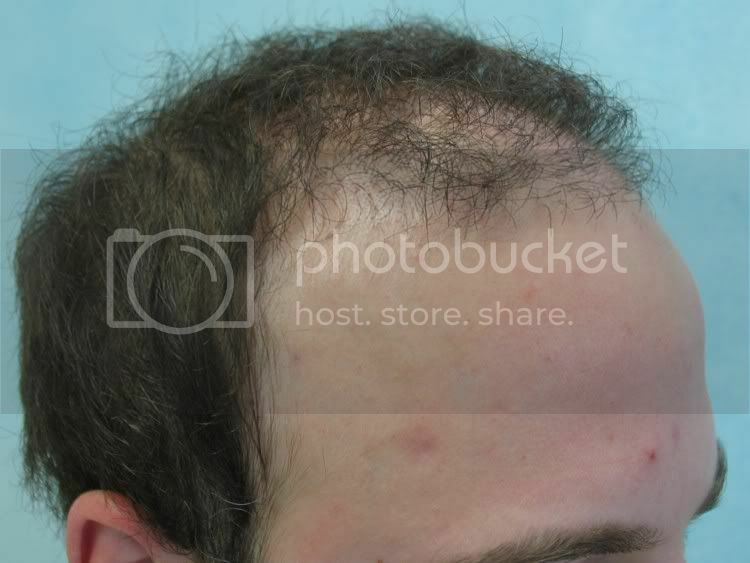 How is this covered in beard scarring when you shave completely all the time? 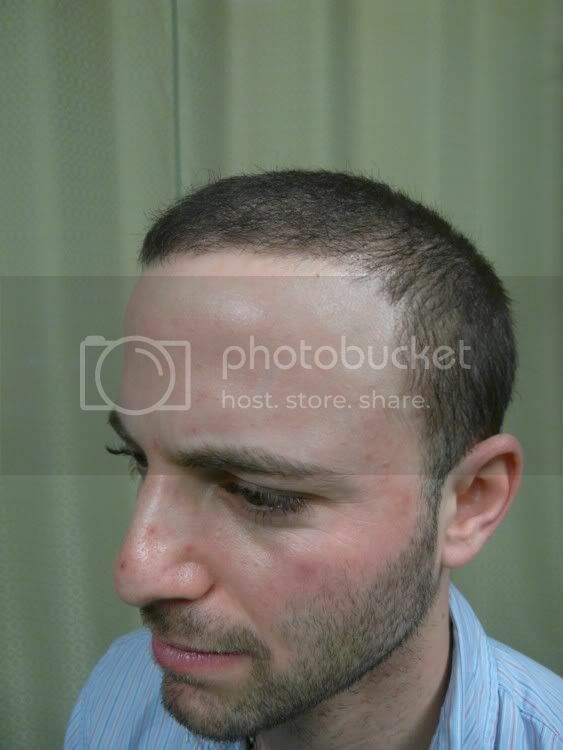 The beard area (especially below the jaw line) heals well in carefully performed extractions. However, physiologic factors does play a role in the rate of wound healing as well as the cosmetic attributes of the wound when healing is complete. Caution is advised in patients of color as they have a higher incidence of of abnormal scarring and/or coloration in the aftermath of wounding. Most of my patients do not have anything worth covering after the healing is complete. 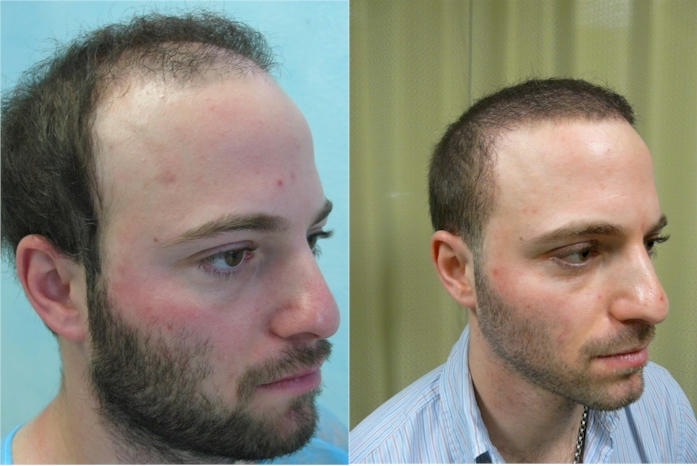 In years of doing SFET, I have seen favorable healing for the most (From body and beard hair surgeries)in people of all races. You should consult me or any doctor you are considering directly with pictures if you want more specifics. 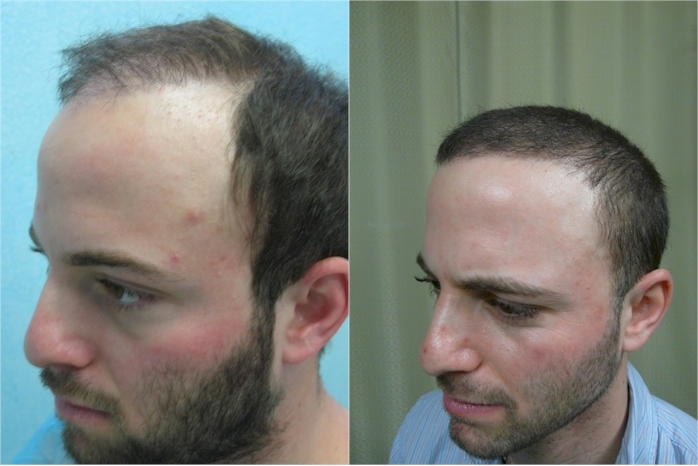 Free Hair Restoration Online Consultation. Click to do a free online consultation with Dr Umar or Call 310-318-1500 to schedule a in office. 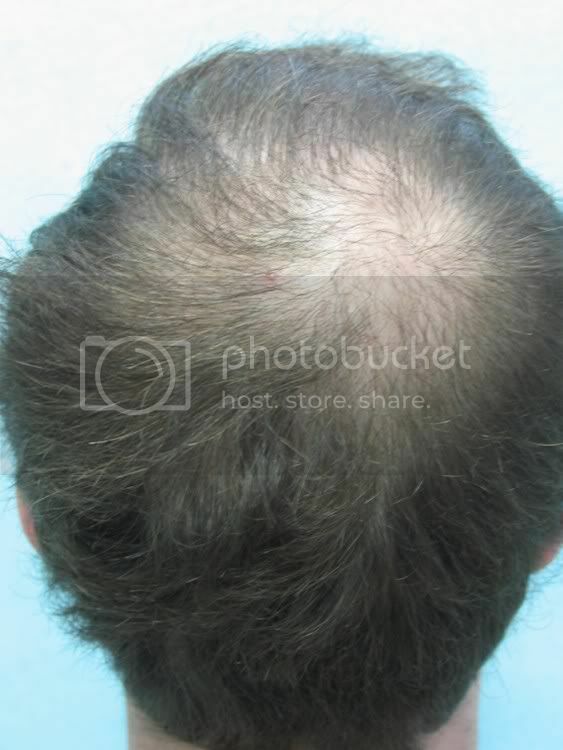 2) Pubic hair - sounds disgusting but have you ever used pubic hair on the head as a filler? If so, what are the results like. 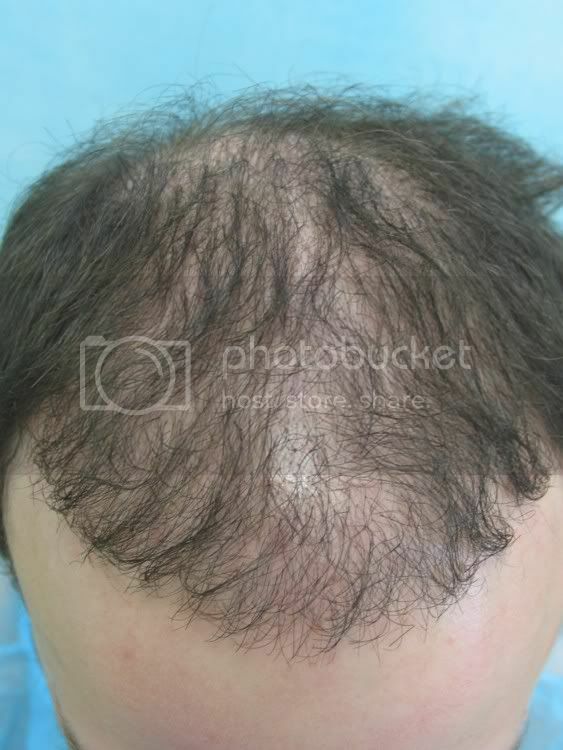 I have made sparing use of pubic hair in the past and I have been satisfied with the result. But it is a donor source I would use only in an extreme case of need. Obviously this would be patients whose needs outstrip their supply and in my estimation, the limited number from the pubic and or axillary area is on line to make a significant difference. Thanks for the answers Dr Umar. The link to your online consultation page returns an error. Do you have a different link? » have gone on to shave their beards confidently. » beard. However in these instances, the beard density would be compromised. » with pictures if you want more specifics. » the head as a filler? If so, what are the results like. » axillary area is on line to make a significant difference. I forgot to update my signature in tandem with my webmaster. dr umar can u tell what is your estimate about the yield of growing hair for this patient and where u transplant each part of of the donor? » for this patient and where u transplant each part of of the donor? I just submitted my online consult form (Location, Scotland, UK). However it only allowed me to send 3 pictures. I have more to send. 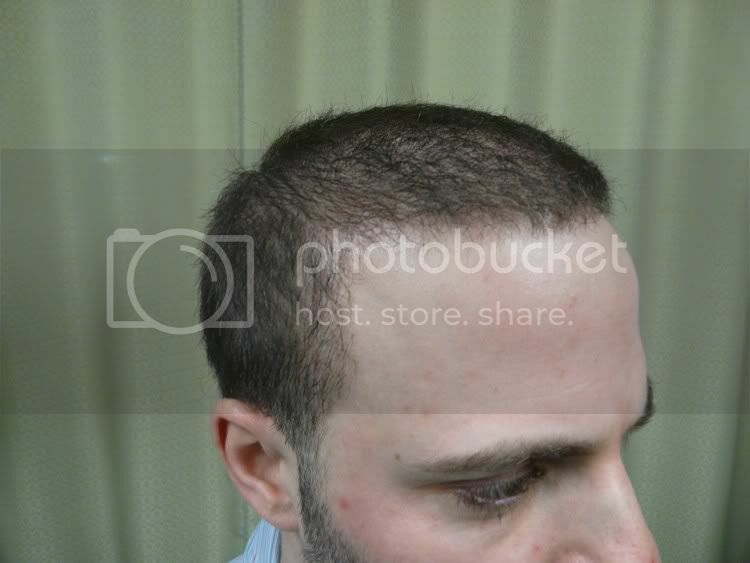 Is there a way to send additional pics, ie f body hair etc etc. » Thanks for the answers Dr Umar. » The link to your online consultation page returns an error. » Do you have a different link? » I forgot to update my signature in tandem with my webmaster. I don’t think the result looks good for the grafts planted - maybe he has more growth to come? 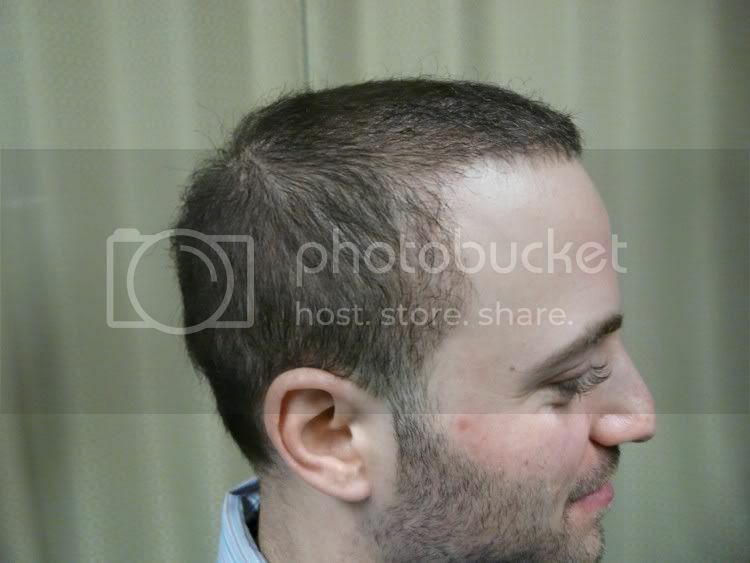 What I do think is good is the pictures, they look very honest (clear top of the head shots etc. ), that is a rarity in the HT jungle.